We offer this rare antique Scottish Wemyss pottery hatpin holder handpainted with thistles and dating from the early 20th century. 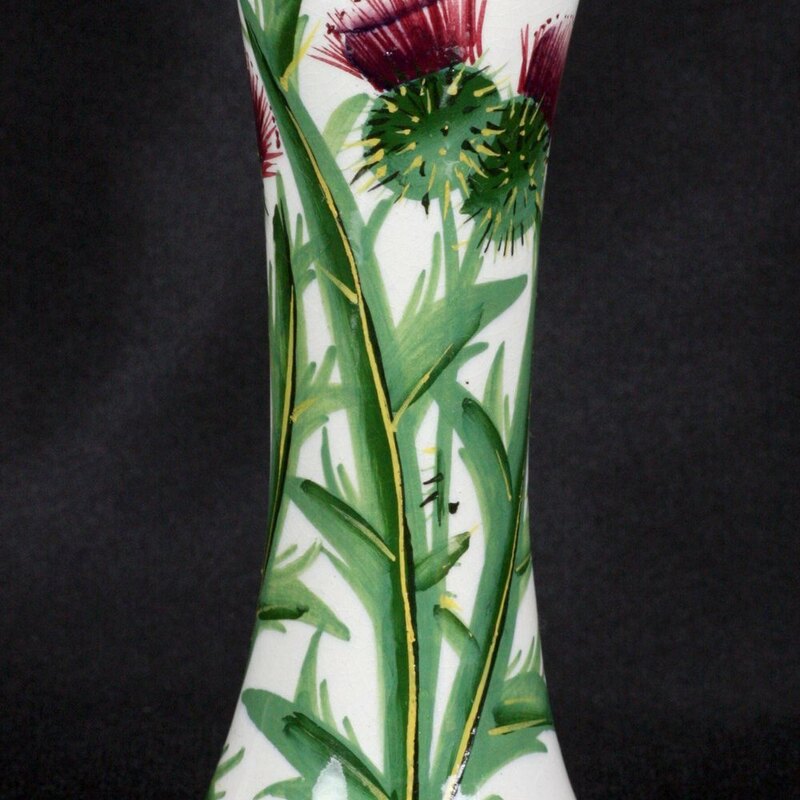 The tall slender earthenware hatpin holder has a pinched top and is finely hand painted with a continuous arrangement of spear thistles (Cirsium vulgae) with a solid green rim around the top. The words HAT PINS has been painted around the foot. The hatpin holder has both impressed and painted WEMYSS marks to the base.